June 23, 2016 • 7:10 p.m. • Whiting, Ind. Wednesday marked the first home game postponed by weather and the third overall this season. The Oilmen saw several streaks snapped in Sunday’s 14-6 loss to the Admirals. A string of 12 straight games scoring in the first inning came to an end. 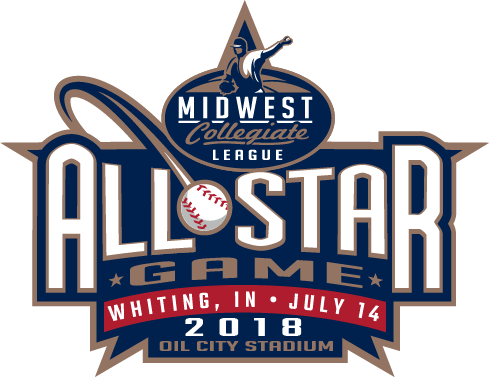 When Joliet scored twice in the first, it snapped a stretch of 21 straight scoreless innings by Oilmen starting pitching. The Oilmen had gone 18 straight games without having a starting pitcher allow more than four earned runs, but Reggie Johnson was tagged for seven runs (six earned) on 11 hits in 4 1/3 innings on Sunday to drop to 0-4. Grambling State infielder Marshawn Taylor made his Oilmen debut on Sunday and reached base four times. He drew two bases on balls before singling in the eighth and rapping a two-run double in the ninth. Chase Fieldhouse had two hits on Sunday and has reached base in 12 straight. Cory Krolikowski (toe) is expected to return this week after missing seven straight games with an injury. The Oilmen have committed four or more errors in four of the last six games. After going hitless in a doubleheader in his season debut on June 2, Tyler Srocyznski has hits in nine straight. He went 3-for-5 on Saturday against Southland. Chase Dawson has been on base in all 10 games he’s played with the Oilmen. Sunday was the first time he did not appear in a game since joining the team. Tommy Szczasny went 1-for-8 this weekend, but still ranks second on the team in batting average at .394. Chris Baker batted leadoff for the first time this summer and went 0-for-4 on Sunday. Zack Forney batted second for the first time this year. He holds a six-game hitting streak and has been on base in 11 of the 12 games he’s played with the Oilmen. Forney leads the Oilmen in walks (14) and OBP (.547). Stefano Belmonte posted his fifth multiple hit game of the year with three hits on Sunday. He’s got 14 RBIs to lead the team. Belmonte has not struck out in 51 plate appearances. He’s the only player in the league with more than nine plate appearances who has not struck out. Alex Nisle has at least one RBI in each of the last four games. Christian Howell has logged 18 1/3 innings over four games (three starts) this season. He holds a 2.95 ERA and has issued 10 walks while striking out 14. 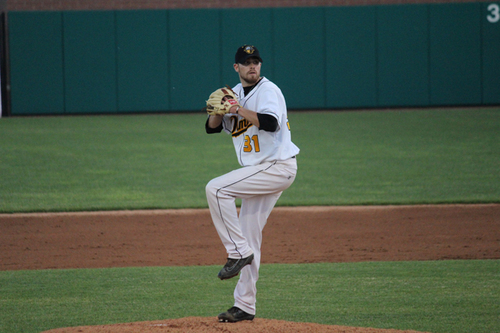 Howell has a 2-0 record and will seek to become the first Oilmen pitcher to three wins this season. His last outing came on June 15 against the Lakers, when he went six innings and yielded one run on one hit to pick up the win. Howell has not faced the Vikings yet this season. Southland finds itself right in the thick of the Midwest Collegiate League standings with a 9-9 record. The Vikings have won back-to-back games after beating the Oilmen and Bobcats this weekend. The Southland season has been one of ups and downs: two straight losses, two straight wins, two straight losses, two straight wins, two straight losses, three straight wins, three straight losses, two straight wins. The Vikings are led in hitting by Jaylin Davis, who is batting .450 and went 3-for-5 against the Bobcats on Sunday after a hitless showing against the Oilmen on Saturday. Starting pitcher Phil Madvek has made one start this season, going five innings and allowing two runs on three hits on June 11 against the Lakers. Southland has captured two of the three meetings this season. The Oilmen lead the all-time series 23-20. NWI won seven straight head-to-head meetings, but the Vikings have captured each of the last two. They beat the Oilmen 9-5 on June 18 after a 10-9 win on June 11. The two teams will meet again on Saturday at 7:20 p.m. at Oil City Stadium. Click "download attachment" to view full Oilmen game notes.